David and I returned on Monday from a 10-day trip to see my parents and sister in the Washington, DC/Northern Virginia area. We didn’t do as much during this visit as I have in the past, and sadly I hardly took any pictures, even though I meant to. Mostly we just hung out, eating my mom’s delicious meals and chatting with my dad. David helped around the house, fixing a lamp, laying insulation above the remodeled bathroom, replacing lightbulbs, mowing the lawn. He also helped me go through countless boxes in my parents’ attic of junk I forgot I ever owned – mugs and glassware, books, old magazines, clothes, and other miscellaneous from my past lives. By the end the curb was littered with trash bags, not including the carload we took to Goodwill. 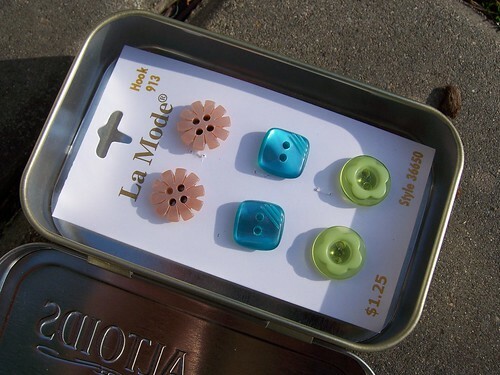 Everything I decided to keep (photos, yearbooks, costume jewelry, awards, etc.) fit into a single plastic bin which we replaced in the attic. 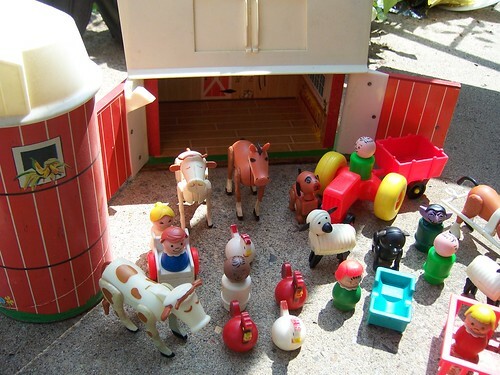 There were a few very interesting finds, like my old jewelry box with several pieces of valuables, my old My Little Pony Stable and dolls, and an almost complete (now vintage) Fisher Price Farm and Silo set still in it’s original box. For some reason we had two barns, but only a few duplicate animals. 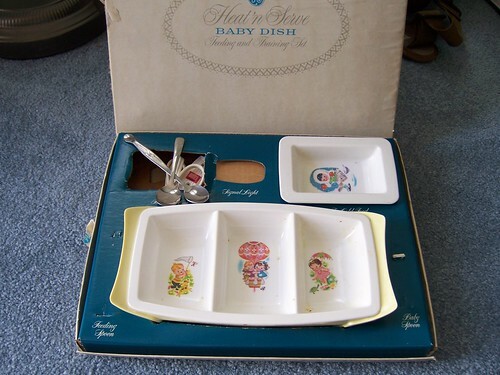 We also found a less well kept Fisher Price Hospital and my old warming plate from when I was a baby, complete with tiny remnants of my last meal. That was really cool. The only thing missing was the sippy cup. 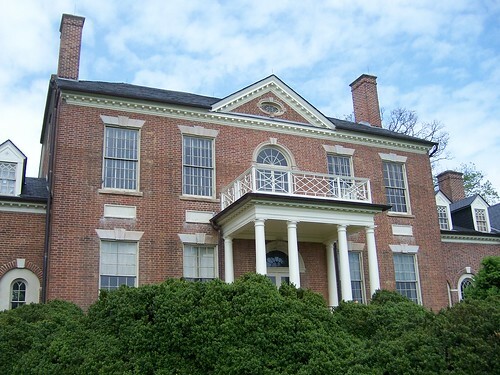 We did go on a couple outings, including a visit to the nearby Woodlawn Plantation, a gift from George Washington to “Nelly” Custis, granddaughter of Martha Washington, and her husband, Major Lawrence Lewis. Washington hired William Thornton, the first architect of the US Capitol, to design the house and provided 2000 acres from his Mount Vernon estate. 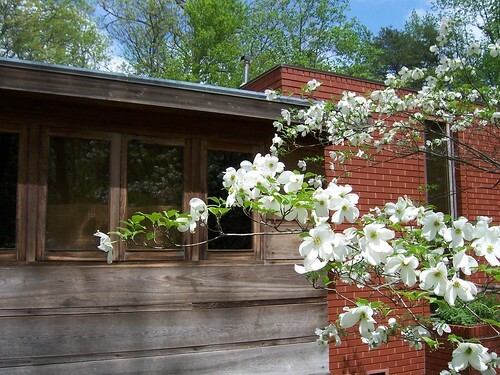 But the real reason I wanted to visit was because Frank Lloyd Wright’s Pope-Leighey House is now located on the same grounds. I think it was moved here in 1964, from its original location, because it was scheduled to be torn down to make way for the Route 66 Interstate. 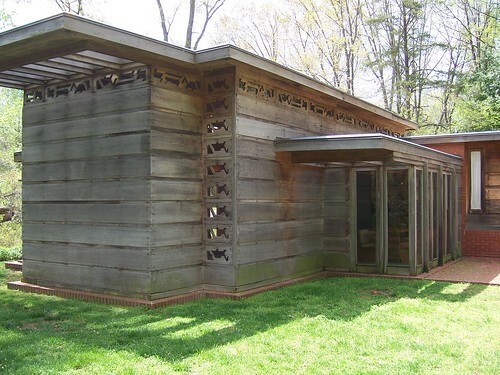 It was definitely the smallest FLW Usonian I have ever toured, at about 1200 square feet, but its design and layout were unmistakeable. Other outings included a fun evening playing miniature golf with David and Dad, where we each scored a hole-in-one (on different greens) and then enjoyed frozen custard from the Frozen Dairy Bar, where we used to stop as kids. We also took a trip into DC with Mom where we perused the fancy jewels (Hope Diamond, anyone?) and other famous rocks and gems at the Smithsonian’s Natural History Museum. Afterwards we strolled along a gorgeous public garden (I don’t remember the name), and now we’re really looking forward to working on our own garden, now that we’ve returned. 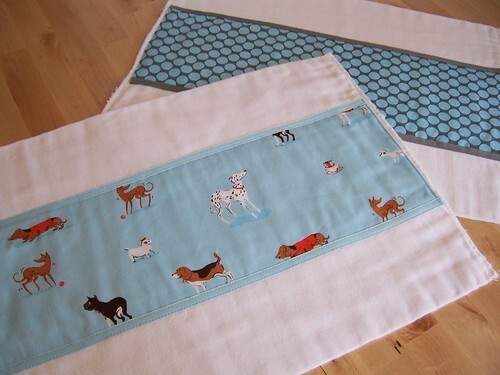 I recently made these burp cloths using this handy tutorial. 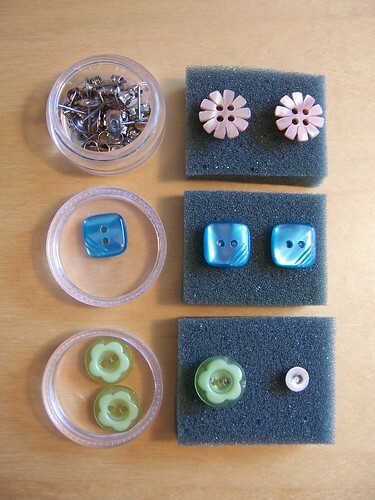 I wanted to add a handmade element to some of the other items I bought from Marcy’s registry for her baby shower. I made half with dog park blue (which seemed very appropriate considering our dogs are best friends) and half with full moon polka dots. Only a few more weeks until we all get to meet their new baby boy. Very exciting! Speaking of random, I thought this photo would be suitable here. 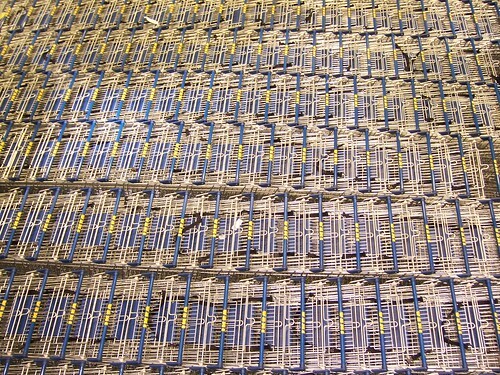 It is only a portion of a sea of shopping carts all stacked together one morning on a visit to Ikea. This was as many as I could fit in my camera frame, but there were lots more. 1. I am so bad at remembering to water the household plants. I have a small potted gardenia on the window sill by my computer and I won’t notice how badly it needs water until it becomes so wilted and sad that I’ll think I’ve killed it this time for sure. But somehow, it always perks back up almost good as new (except for the handful of inevitable brown and yellow leaves). 2. My favorite kinds of flowers are happy and showy, usually richly colored with one main bloom per stalk – like dahlias, gerbera daisies, ranunculas, and the like. The very opposite of my husband who likes dainty little flowers that come in tiny sprays or clusters. 3. I love chocolate milkshakes. Even better are chocolate malts. There was a time where I absolutely could not leave a restaurant without ordering a chocolate malt if it was on the menu, even if I wasn’t really hungry. My current favorite shake is from a nearby chocolatier called Moonstruck who makes an amazing Chocolate Old Fashioned, complete with a dark chocolate coin garnishing the top of the whipped cream. Delicious! 4.I am 5′ 3″. It used to really bother me when I was a kid, but now I never think about it. I come from a very short family. My mom is 5′ and my dad is 5’4″. I’m not sure about my sister, but I think she is somewhere around 4′ 10″. 5. I do not like to exercise, although I enjoy walking. Actually, its not that I don’t like to exercise, but I find going to the gym boring and I’m not good at motivating myself to do things that I like more, like riding my bike, especially when its so cold outside. 7. My first real pet (as in, given to me by my parents, not found in the backyard or caught in a stream somewhere) was a hamster. I named her Lady, and she was a pale golden beige with white on her chest. I could watch her for hours. My favorite was when she’d clean her face and fur with her dainty little paws. Wow, I actually thought of 7. Whew! Forgive me, but I’m not going to tag anyone else, for now, but I’ll send out a random tag to anyone who is interested in sharing. I’ll certainly be interested in reading, so let me know! David and I have been making totes lately. That’s right, David is sewing now, too! We were at New Seasons and saw a batch of simple, unlined totes for sale made from Ikea fabric and David asked me to teach him how to make them. 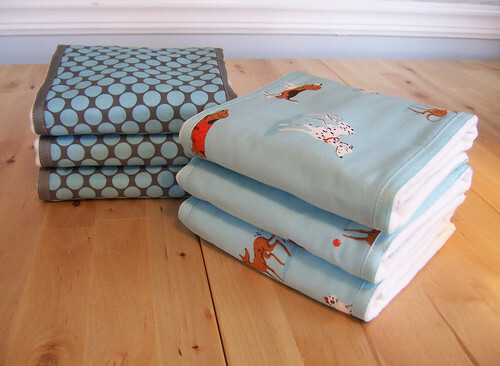 For his first two totes, he decided to recycle an old Pottery Barn curtain panel from our fabric stash. 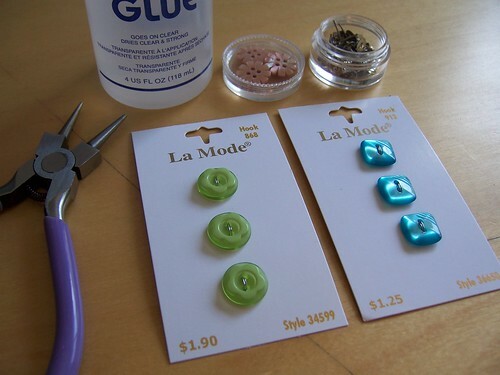 I walked him through cutting for size and inseam, and a few other basics like threading the bobbin, back-stitching, squaring the bottom and making french seams to keep the inside neat-looking and strong. Actually, David kind of knew how to sew long before me, because I remember him making large curtains for one of our first apartments back in the mid 1990s. However, this was a machine he hadn’t used before. He was a fast learner, and doesn’t get hung up and fussy about details like I do. 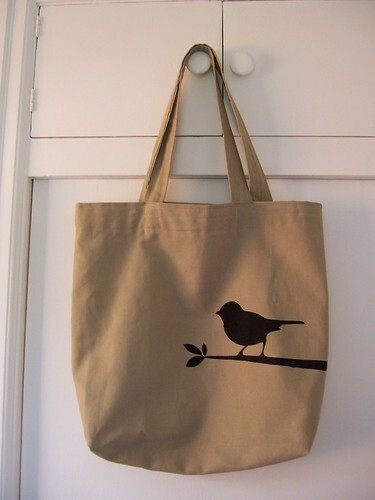 After making the bags, he then screen-printed one with an image of a bird. Didn’t it turn out great? I’m so proud! 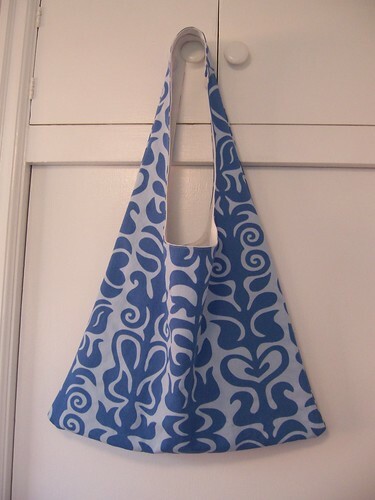 And not to be completely outdone by my talented husband, here is a tote that I finished as well. I kind of made it up as I went along, which was not a good thing, in this case, because I think I would have made a couple different choices had I thought it through from the beginning. The outside is Ikea fabric (from the frederika collection) and the inside is Essex white linen cotton blend from Sew Mama Sew.